Red pine is a conical, straight-trunked, evergreen conifer with horizontal to ascending branching and an oval to rounded crown. It typically grows to 24 m (80’) tall. It is native to cold climates zones such as Minnesota, Wisconsin, Michigan, Pennsylvania and New York in USA, Norway and Finland in Europe. It is typically found on hills, slopes, ridges and plains, often in sandy soils. 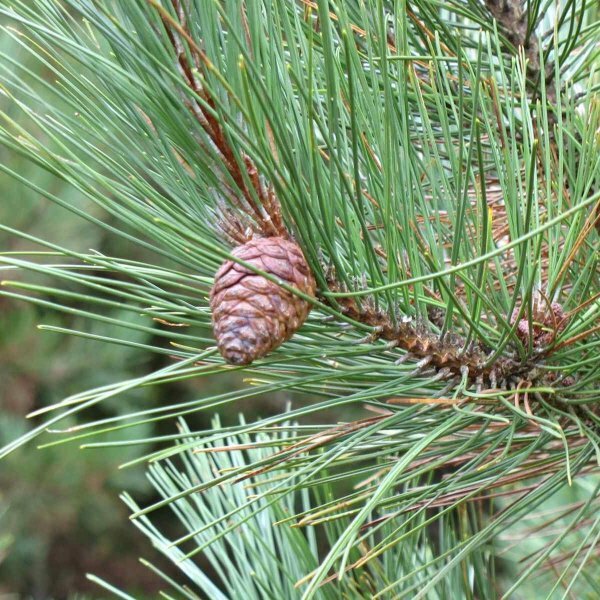 Common name of red pine is in reference to the tree's bark which is red tinged from crown to base. Sharply-pointed, yellow-green to dark green needles in bundles of two are soft but brittle (snap crisply when bent). Ovoid female seed cones mature to chestnut brown in the second year. 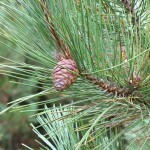 Cone scales lack prickles. 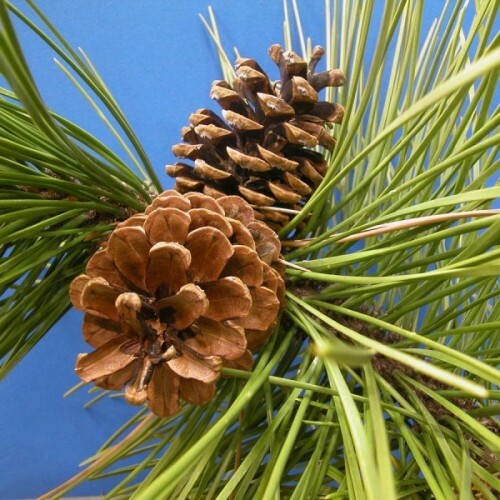 This is the State Tree of Minnesota where it is commonly known as Norway pine. 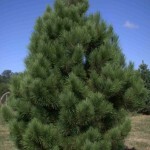 Red pine has been commercially used for pulpwood and structural timber. Generally not recommended for specimen or ornamental purposes in the warm zones because it does not grow well in areas with hot and humid summer conditions. It is not currently recommended for landscape planting south of USDA Zone 5. 2. Fill small pots with compost. Place one or two pine seeds on top of the compost in each pot, then cover the seeds with a thin layer of sand. 4. Repot the pine trees into medium-sized pots in the fall. Grow them in the pots for the following season until they are large and strong enough for transplanting into the landscape.